The oldest part of Plovdiv has become a merging point for ages from antiquity to the century we live in. In this small urban area you can observe the traces of the people who have inhabited this land. The architectural-historical reserve, or revered to by its nickname “Old Town”, is located in the middle of three mounds. Throughout the centuries many nations have dwelled there, leaving behind part of their cultural identity and their own versions of the city’s name. 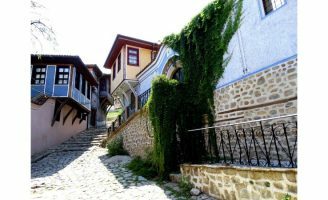 Plovdiv itself is one of the oldest cities in Europe – its dating is estimated to be around 4000 B.C.. In antiquity the Thracians built a fort on one of the mounds but around the 4th century B.C. 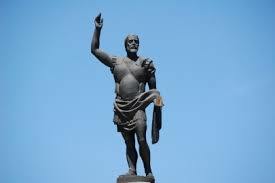 Philip II of Macedonia conquered it. So one of the towns many names became Philipopolis and he surrounded it with great, thick walls. Later on the Thracians took back the city, but after many battles, lost it to the Romans in the 1th century. All that remains from the Thracians is their fort on the very top of Nebet tepe. In Roman times Plovdiv, or going by its Latin name – Trimontium, was an important regional center. The city was blooming and bussling, as mass construction work of buildings and roads was ongoing. A lot of well-preserved ruins from the Roman time of the city remain – paved streets, city walls, towers, various buildings, canalization and theaters. The Trimontium was growing so much that it grew outside its walls. A lot of the city is located not on the mound but in its step. Some of the more curious sites from Roman times are the Roman theater, which is still used today, the Roman stadium, dated to the 2nd century and one of only twelve in the world, and the forum. After the Roman period, follows the Byzantine period of the city. The Byzantine period began at the end of the 4th century. Later on slavic tribes settled there and gave the city the name Puldin. When the First Bulgarian Kingdom was founded (681) Puldin did not fall in its territory. Up until 1344, when the city permanently became a part of Bulgaria, the rule of the city was switched between the Bulgarian kingdom and the Byzantine Empire and for a short period of time was governed by the knights of the 4th crusade. 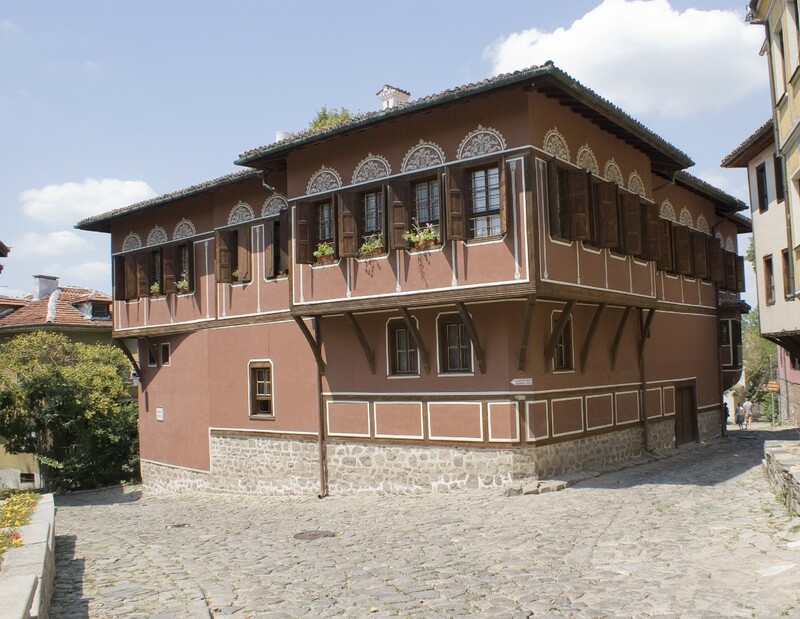 Ottoman armies occupied Plovdiv in 1364, which brought a new style of architecture to the city. The Ottomans gave the city the name Philibe. Remaining buildings from the Ottoman period are the Jumaya mosque, Tshifte banya – a public bath built in1582 and is today a center for modern arts and a 16th century clock tower. During the Renaissance Plovdiv was a significant economic center. There lived a large percent of wealthy, well-educated people, who travelled all across Europe. 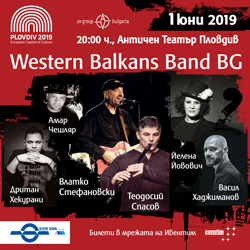 Returning from their journeys they brought back not only exotic to Bulgaria goods but also the latest cultural trends of the western world. 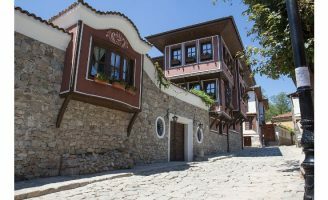 Also the wealthy merchants of Plovdiv liked to express their financial well-being by building houses that, for the standards of the times, were considered mansions. Unlike the early Renaissance, these were large, lavishly decorated, and very rich in details houses. Some of them had external properties like marble wells, safe houses, servant dwelling and even Turkish baths. The interior is even more detailed in decorations with elements from carved wood, walls rich in colours and the latest in the furniture fashion. Today some of the houses hold expositions. The curiosity is that some of these houses are still used as residential buildings. 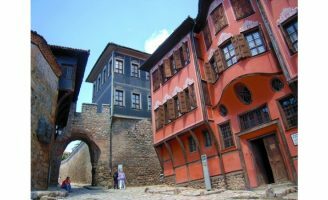 The architectural-historical reserve Old Plovdiv is not only a merging point – it is also a time capsule. The reserve is a place where you can literally touch history and feel it, as the modern way of life sits atop the layers of history. It’s not only Renaissance houses and ruins: it offers a full experience of local food, as there are several restaurants on the territory, which have been there for a long time. It also offers a glance in to the local craftsmenships and sometimes classical dramas and concerts are played in the Roman theater. Oh, and also, it is going to be hard won’t to leave without a vile of rose oil as the sweet aroma is coming out of every souvenir shop around.